A new Beaver is now ready for sale. 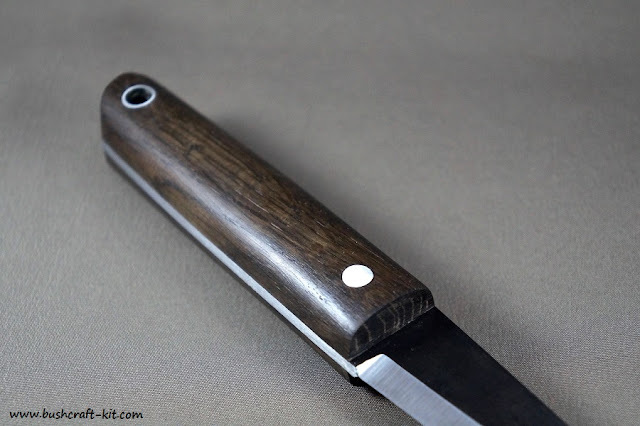 Using bog oak, aluminum fittings (Corby rivet and lanyard tube) and a heat treatment pattern for the blade the knife has a stylish sober look. 95 mm long, 3 mm thick, with a 90 mm scandi grind cutting edge. 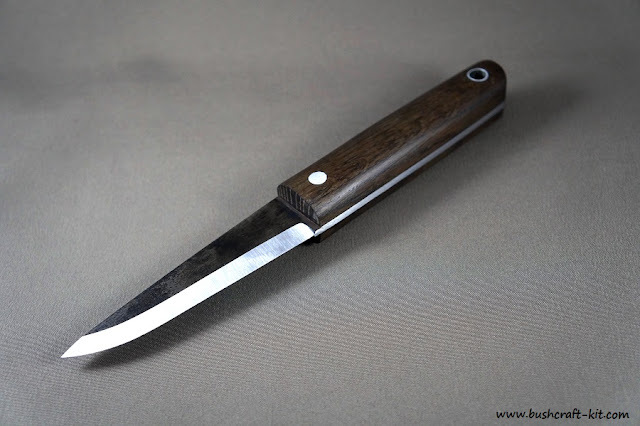 It is made out of O1 high carbon tool steel hardened to 60-61 HRC. 105 mm long made from 6-10 mm thick handle material, with a 6 mm Corby rivet and aluminum lanyard tube. 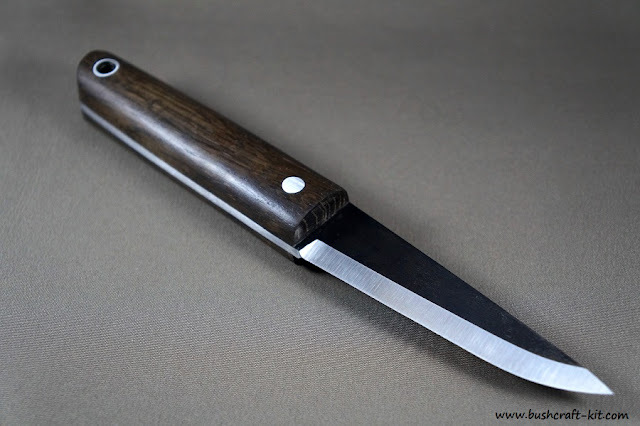 The knife will be supplied with our standard Beaver 3-4 mm vegetable tanned ox leather sheath. The price for this one is 100 USD (shipping and PayPal fees included).